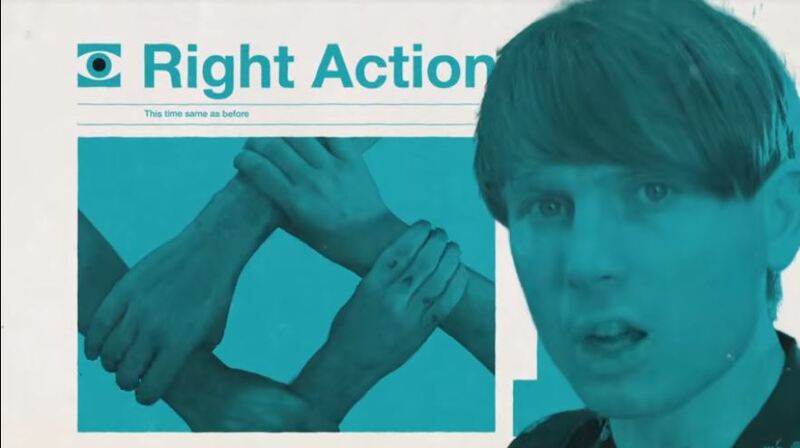 “Right Action” is a music video that incorporates static and kinetic typography from Scottish alternative rock band Franz Ferdinand. In the video, as the band performs the song, the music video progressively shows the viewer the lyrics to the song, every time with a different variation as to the form of how the word is written out. Aside from the typography, the music video also contains various images that appear to associate themselves one way or another with the lyrics of the song. When the band is shown in the video they are blended into the background while the images that cover both the background and the foreground of the video have brilliant colors, attracting more attention to the images and typography than the band itself. The blend of typography, color schemes, and almost subliminal messages through its images makes the video keep the viewer ever so attentive. The video’s hyper dynamic display of what appear to be graphs, dissections, charts, maps, diagrams and just overall collage of images manage to take away the conventional meaning behind each of the images that it presents. With the visual implementation of the lyrics into the video, the words displayed manage to give a wholly different meaning to the images that are being shown to the viewer. The images and the words displayed along each other manage to break the mold for the definition of both words and images and manages to create its own universe of meaning where even then band, although playing mostly in the background, are present and are able to interact with them. It is through this action that the band also manages to become part of the “breaking of the mold” that the words in the song are doing with the images. 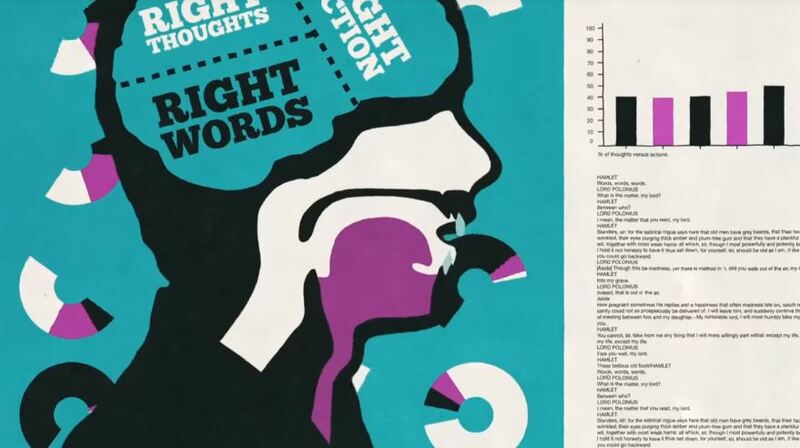 In the end, the band manages to create a meaning to what they consider to be “Right thoughts, right words, right action” in the form a a highly animated text book, where the typical conventions of words are only taken for granted and the real meaning of both, image and word is only determined by the synergy that the band creates between the both of them. 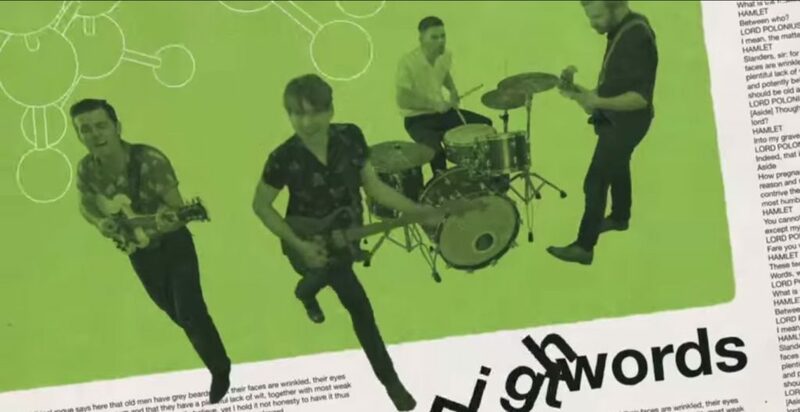 Franz Ferdinand are never shy of creating “arty” musical videos, but when it comes to this particular one, they managed to blend in language and play with it, making the video an enjoyable and intriguing one.